Make a Statement with a Backsplash | Le Gourmet Kitchen Ltd. The kitchen backsplash is the ideal marriage of practical and style elements that is so important to effective kitchen design. The backsplash refers to the area of a kitchen wall that sits above the sink, range, and countertop. It may include an area extending only a few inches or all the way to the wall-mounted kitchen cabinets. In some cases, it could even extend up to the ceiling, and vary in height from one part of the kitchen wall to the next. A backsplash must be durable, stain and moisture resistant, and easy to clean, as it performs the very practical function of protecting the kitchen wall from grease, moisture, and food residue. As it performs this powerhouse duty of protecting your walls while you create culinary masterpieces, it also serves to enhance the kitchen design style. The backsplash sits right at eye level, and so is well-placed to draw the eye and serve as a natural focal point. Like jewelry to a classic outfit, the backsplash should coordinate with but also enhance the main elements of your kitchen design, like the kitchen cabinets, hardware, countertop, and more. The backsplash could also be a prime opportunity to add some color or texture to an otherwise neutral kitchen remodeling color palette. 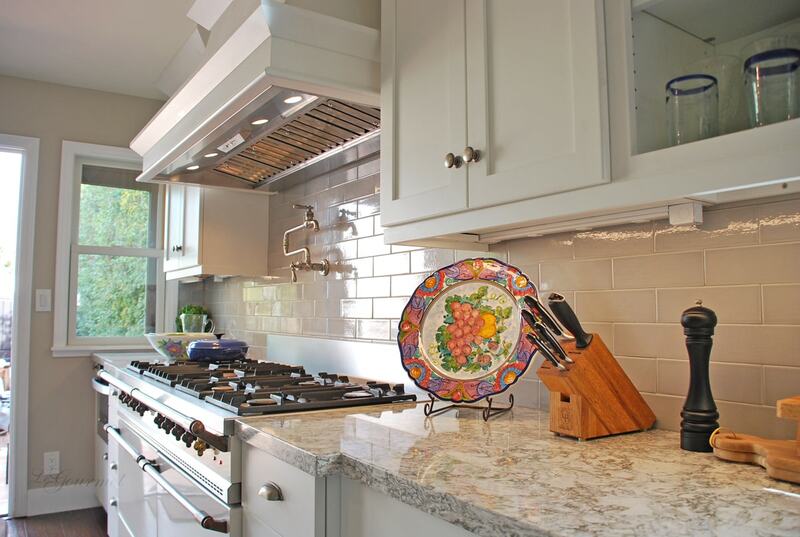 There are a variety of materials and styles available for a backsplash. Your selections will in part depend on your preferred kitchen design style, but also may be impacted by your household and lifestyle. How often do you cook? Is yours a busy home with kids and family around? Some backsplashes are easier to clean and maintain than others, so consider how you plan to use your kitchen and select a backsplash that fits your lifestyle. Think about the amount of food, grease, and dirt that will come into contact with your backsplash, not to mention pots and pans banging against it. The backsplash must be able to withstand constant use in a messy environment, all while being easy to clean. Certain materials are easier to clean, while some must be sealed on a regular basis, and others are more prone to scratches. Make sure you review the options with a kitchen design professional to pick the right one for you. The backsplash must complement the surrounding elements of your kitchen design, in particular the cabinets and countertop. At the same time, it is an ideal place to add some personality to your kitchen and even to bring some sparkle, shine, or texture to an otherwise neutral kitchen design. Make a statement by including a backsplash in a bold accent color or pattern or pick one area to incorporate a design focal point, such as above the cooktop. Tile backsplashes are still a popular choice and offer a range of options for colors and patterns, but there is a wide array of materials available that go well beyond tile. These include glass, metal, natural stone, and stainless steel, as well as sustainable materials like recycled glass, cork, or bamboo. Every material has its pros and cons, and each offers a unique look that can change the overall appearance of your kitchen design. 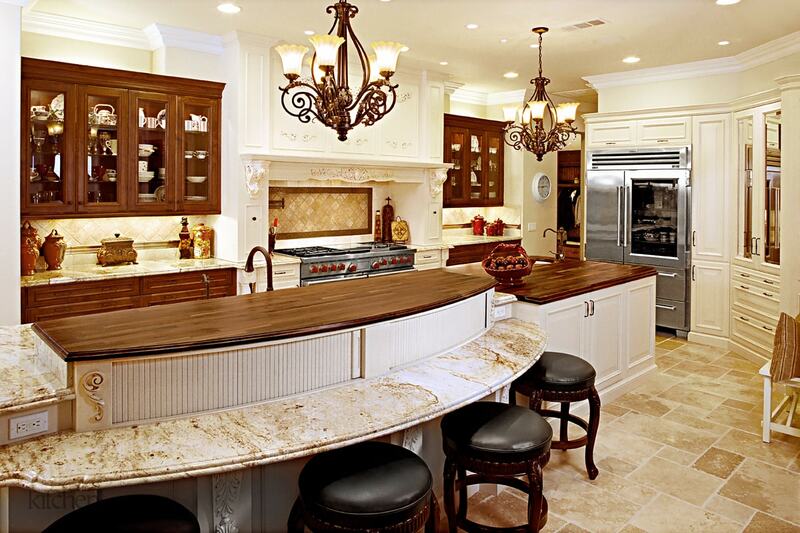 Let us help you navigate these choices to find the right material for your kitchen remodeling project. Some materials are more expensive than others, so consider your overall funds when shopping for backsplash materials and designs. If you are on a limited budget you could consider mixing materials, and only incorporating the more expensive materials in one high impact design focal point. 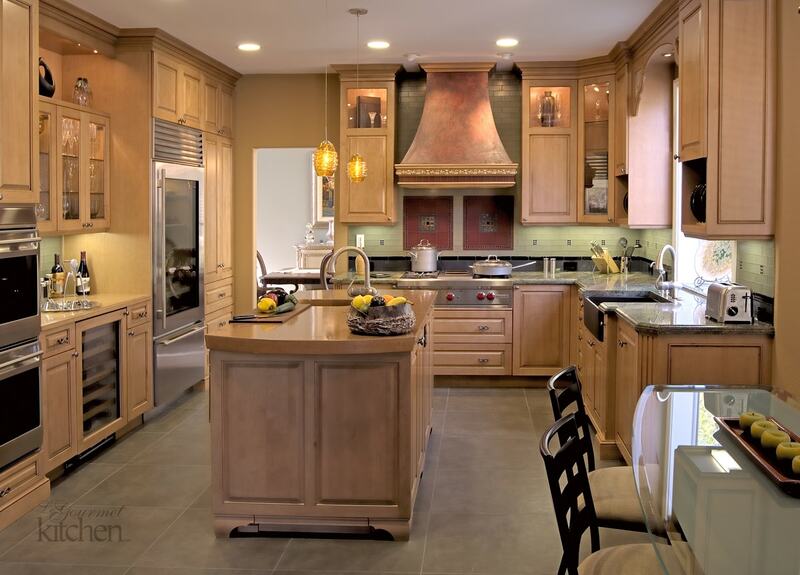 Your backsplash choice can significantly affect the final appearance of your kitchen design. It provides the link between kitchen cabinets and countertops, providing either a neutral complement to your overall design or acting as a contrasting design focal point. Choose one that fits your style and meets your practical needs. 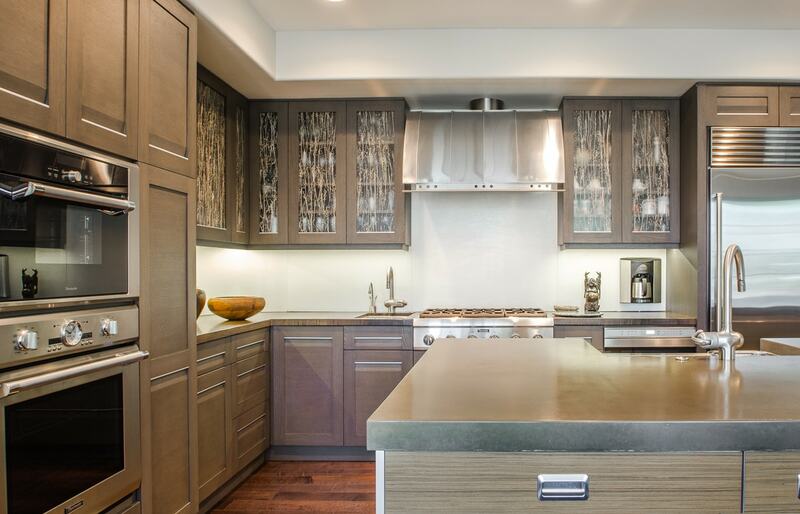 Our gallery is a great place to get started in looking for backsplash ideas for your contemporary, traditional, or transitional kitchen design. Or, contact us on (714) 939-6227 to learn more about backsplash options.